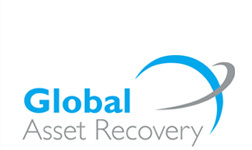 Global Asset Recovery is a recognised specialist in the valuation and disposal of food processing assets and the corporate recovery of plant and machinery for the food sector. Services are aimed exclusively at the industrial food processing sector, providing asset finance advice, valuations and disposal options for insolvency practitioners, corporate recovery specialists and financial institutions, accountants, lawyers as well as private and quoted companies. Evaluations can be arranged for all capital items, from individual units to entire factory contents, including real estate and property. Experience, gained over many years, combined with up to the minute market knowledge, ensures valuations provided by Global Asset Recovery are the most accurate and meaningful available. Utilising all modes of asset disposal Global Asset Recovery is able to plan and execute the entire process with ease, resulting in client satisfaction throughout. Operating in no other field, Global Asset Recovery combines vast experience with tight focus to consistently outperform other, non-industry specific, valuers, auctioneers and asset disposal companies. Over 80% of our turnover is generated from export sales and our sector specific database targets our marking to proven buyers worldwide. We deal with some of the world’s largest food processors such as Nestle, Mars, Birds Eye, Cargil, Pacific Seafoods, Vion and Trident Seafoods – as well as may smaller manufacturers in the UK, Ireland and internationally.